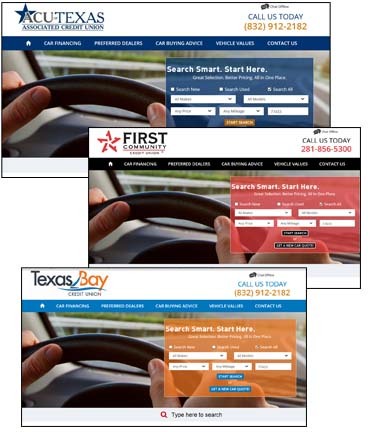 Auto buying websites can be customized with your credit union colors, logo, and homepage image. Direct link to your online auto loan application and a separate link to your online loan rates. 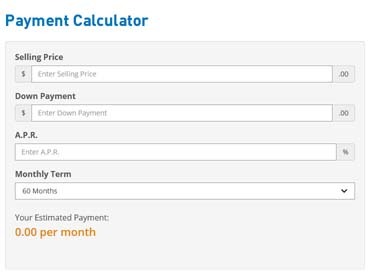 A loan calculator is provided to help members determine monthly payments based on vehicle cost, terms, down payments and interest rates. We also include financing advice that contrasts the difference between credit union financing vs. Competitor financing. Your local preferred dealers are listed with contact information, bio and picture. It also lists the dealership logo, map and directions. NADA values for used cars, classic cars, power sport vehicles, RV’s and marine vehicles free of any finance competitors links or advertisements. 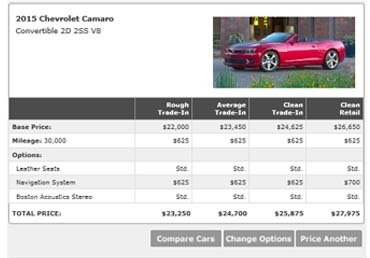 Data feeds and inventory, from preferred dealers, are updated daily and displayed directly on your member car buying website. E-mail notification is sent when a member sends in for a price quote request or more information on a vehicle. Members can enter the vehicle information of the car they would like to sell and receive a free cash offer. *Available in select markets. Offer help to your members through a phone hotline, live chat, and email. The hotlines can be set up to come through your Credit Union, or you can utilize our customer service. Price negotiation: tips and advice to help members negotiate a better price on new and used automobiles. Buying a used car: tips and advice to help members avoid pitfalls with the purchase of a used vehicle. The trade-in: this section covers the trade–in process and guidance related to trading a car in. Car buying FAQs: frequently asked questions associated with the purchase of a car. Vehicle Information: information about the most standard warranties and topics related to maintaining an automobile. Whether your Credit Union has a direct loan or indirect lending relationship with local dealers, MAC’s web services help drive your member buyers to your preferred dealerships. With Member Auto Center your members can start their car shopping through you; this means identifying those members shopping for a car. Your loan department can now reach out to your members and pre-approve them before they reach the dealership, this provides your Credit Union the opportunity to capitalize on auto loans that may not otherwise have been. 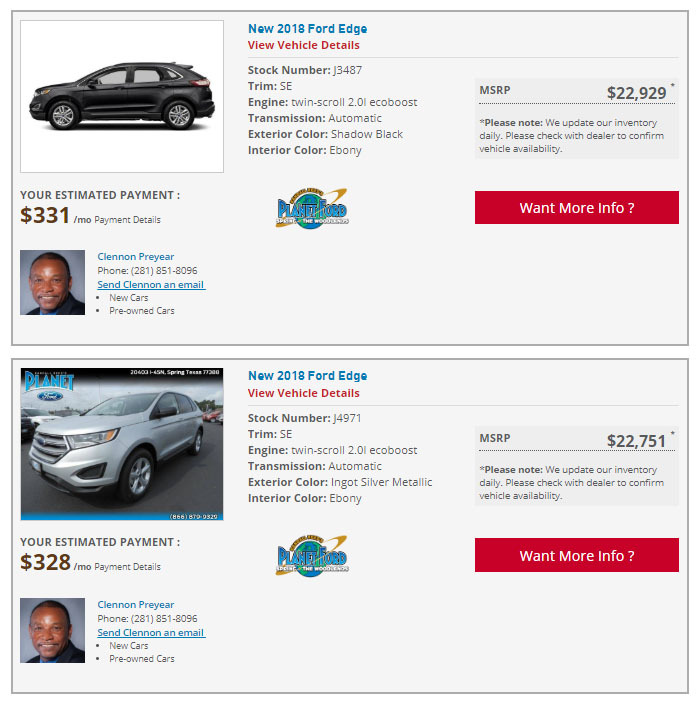 Dealerships spend tens of thousands of dollars each month in advertising, with the hopes of enticing buyers to purchase an automobile from their dealership. With the Member Auto Center Program, your Credit Union can generate fee income from dealers, at a fraction of their traditional marketing costs, to drive pre-approved member buyers to their doorstep.